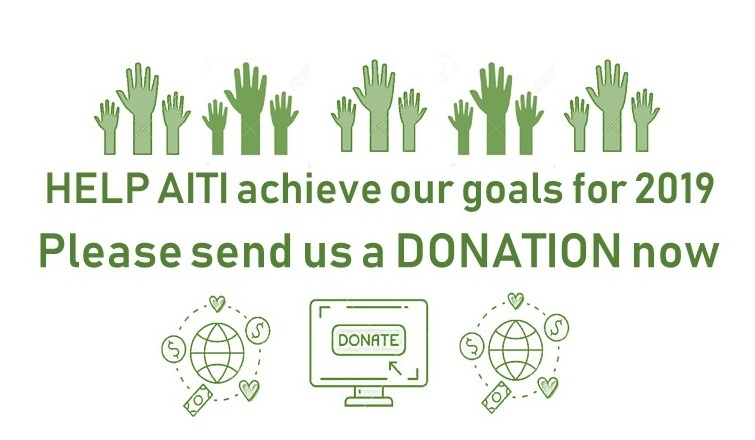 Help AITI achieve our goals for 2019. Please send us a donation now. We have formed a new international AIT Board consisting of people from USA, Latin America and Europe. This board has a wide skill base and agrowing focus on research and marketing. We expect this to make a bigdifference in AIT’s presence worldwide. We trained 14 new AIT teachers worldwide and 10 new AITsupervisors worldwide. We added more than 50 accredited practitioners to our internationalAIT team. AIT is coming to France. The Basics Manual has been translated into French. We edited and released an updated version of the AIT CORE BELIEF BOOK, which is now being translated into French. Other languages will soon follow. We have moved solidly into the 21st Century and we now have a social media page; we have a YouTube presence as well as via Instagram, twitter and Facebook. With these additions, we looking forward to consolidating and expanding AIT as a community and to achieving greater recognition for this marvelous work. AIT has moved to offering online seminars, so that people who were previously unable to access trainings are now able to do so. The Cancer Prevention and Treatment Seminar and MAP have already been offered online with lots more coming. 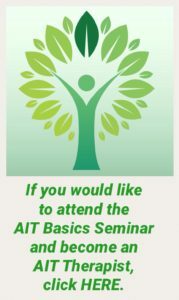 Several AIT webinars had been created and are available on our social media pages. We have achieved all this with limited sponsorship. Can you imagine what we could achieve if each of you sent us a contribution nowfor use in 2019? We are asking for donations of 25 to 50 dollars each. The AIT Board and Asha have undertaken to match your contributions. If enough of you donate now, research will be on the way!! AITI is a registered non-profit organization. Therefore, your donation is tax deductible. The larger the donation, the larger the tax deduction. With your help, we can achieve so much more. The world certainly needs what we have to offer more than ever before.